Sponsored by the National Association for the Education of Young Children, Week of the Young Child is an annual celebration of early learning, young children and their teachers and families. The Child Development Lab (CDL) at Heartland Community College is engaging the campus community in a variety of activities during the celebration, which runs April 11 through April 15. On a national level, Week of the Young Child is an opportunity for early childhood programs across the country to hold activities to bring awareness to the needs of young children. It also recognizes the importance of early learning and literacy. Monday, April 11: 10:30 a.m. Parade through campus advocating Early Childhood Education (meet at the CDL). Open to the public. Tuesday, April 12 and Wednesday April 13: 10:30 a.m.
Parachute and bubble activities on the prairie (far northwest corner of the campus). Open to CDL children and their families. Thursday, April 14: 7:30 a.m. - 1:00 p.m. Drawing with sidewalk chalk at the CDL and art sale in the campus café (all proceeds go towards art materials for the CDL). Art sale open to the public. Chalk activity open to students, CDL children and their families. Friday, April 15: 7:30 a.m. - 9:30 a.m.
Breakfast and photo booth at the CDL. Open to CDL children and their families. 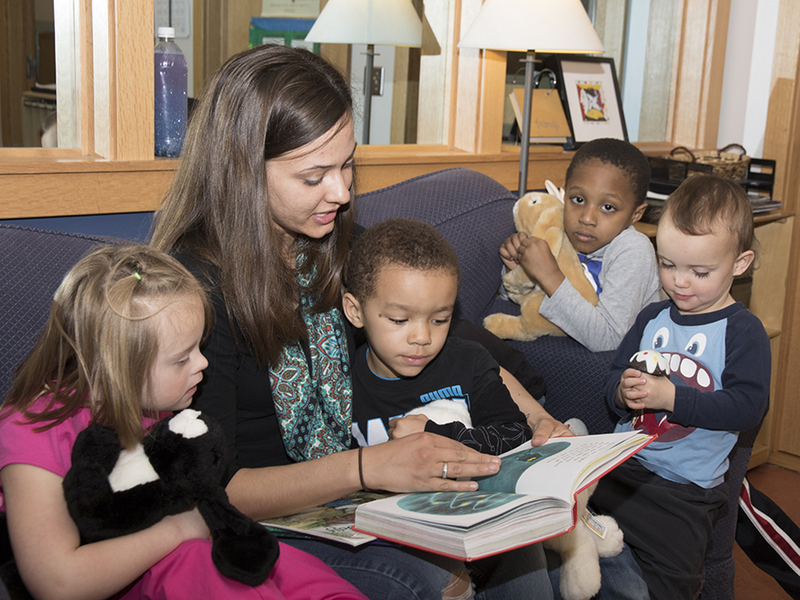 The Child Development Lab (CDL) provides high quality care and education to the children of Heartland Community College's students, faculty and staff. As a lab school, the CDL provides opportunities for students needing first-hand experience working with young children. The program is designed to maximize individual development and activities focus on the process of learning.